Guy was in the TOP 10 REALTORS® in Canada in 2014 & in 2013, Top 20 in 2011 & 2012 with Keller Williams Realty. He now has moved his business to RE/MAX FIRST to better serve his clients needs in the local market! Guy Cooley is consistently A TOP PRODUCER with Keller Williams Premiere Realty. Winning a 2 Double Gold Awards, 3 Gold Awards, 1 Silver Award and a couple Bronze Awards, plus most recently was Awarded the TRIPLE GOLD AWARD for sales in both 2013 & 2014. Call Guy @ 403.462.4899 and get into the right hands to help you today! "Guy worked with us on our recent house sale in Langdon. He supported us while we left our house in his care and we went snowbirding during the sale period. We had a roof leak while gone and he notified us and arranged for repair. I was determined to obtain a specific selling price and Guy represented my wishes through a difficult economic time and equally difficult final sale negotiation. Guy is able to go the distance for his clients selling a house. Guy also recommended a realtor in a new area of the province that we are moving to. I would recommend Guys services. " "i found that he is very informative and knew all his information.... i would recomend him for buying and selling.... he sells fast .....trustworthy and very experienced ... very friendly you wont goin wrong choosing Guy Cooley...... "
"Guy has been helping us to purchase and re-sale an investment property for a few years. One of the deals didn't go as smooth as expected, and we were out of province. He reassured he would support us as much he could. He went the extra mile to resolve all the problems we had encountered. He is customer oriented and followed our instructions with his honest advice. We were lucky to have his help." "Guy has helped us for a few years in the purchase and re-sale of an investment property. One of the deals didn't go smooth as we expected due to an unknown water leak, and we were out of province. He reassured and supported us as much he could and without hesitation went the extra mile to resolve all problems we had encountered. He is customer oriented and followed our instructions with his honest advice. We were lucky to have him on our side. I recommend Guy Cooley to anyone needing a true professional in the industry. Jing and Rene"
"I would highly recommend Guy to anyone looking to buy or sell property in the area. He was extremely patient and easy going while showing us potential homes (often with two small boys screaming or crying) and we truly felt he had our best interests in mind. The genuine nature with which he helped and advised us was quite frankly unexpected and set us at ease throughout the entire process. By the end he felt like a friend of our family. Great guy (no pun intended), and great realtor. Highly recommend and will use his services again someday. Thanks again, Guy." "What a “Guy!” On the recommendation of another business professional, we called Guy Cooley, and he has never disappointed. From our first interview with him, we felt confident in his expertise in helping us sell our home of almost 40 years, in a low selling market, in an older community, and for over list price with multiple offers. With his wise advice and eye for detail – he even spotted hidden cobwebs – Guy helped us get our property show-worthy, and brought us a happy buyer within nine days. Truly remarkable! Then he surprised us by personally planting the SOLD sign on our property as a ‘cheeky’ announcement that the purchase was finalized. Guy is personable, smart, respectful, very knowledgeable, and diligent in helping us find just the right new place to call home. We highly recommend Guy as a realtor you can trust to navigate the maze of details involved in selling or buying a home. Thanks, Guy. We think of you as a friend. Reg and Shirley"
"From the moment we decided to sell, we had hoped to sell fast. We are lucky that we came across Guy. He is a very professional and patient individual, with a tremendous amount of knowledge in the Real estate market both Calgary and surrounding areas. Not only that but he has a wonderful personality and we knew that he had our best interest from day one. We were selling in Calgary and our goal was to purchase in the beautiful town of Langdon. We were pleased to see that, not only did our house sell in record time and for a great price, but he found us our forever dream home and worked hard for us to get it at a great price. I feel that if we had gone with any other Realtor, we wouldn't be living in our dream home right now. My family has worked with other Realtors in the past and none of their services even come close to Guys. We highly recommend Guy Cooley to anyone buying or selling, and we are forever grateful for crossing paths! We cannot thank you enough. Derek & Ashley"
"From the first moment of discussing our new home needs for relocating with Mr. Cooley, each minute has been great. Guy is truly a very well spoken, and high caliber professional realtor, with a wonderful personality and truly respectful demeanor. Guy was very much there every step of the way for us, and was very reliable in planning, and helping us to see the homes we were interested in based on our very demanding criteria. He was great to find options within our price range, and even though at times that can be tough, he helped us secure our new family home well under asking price, and ensured we were well taken care of. Guy worked hard through the negotiations, and ensured all our best interests were met. He conducted some market evaluations, and spoke freely to help us make the right decision. He is meticulous when he is showing a home, and very experienced in seeing the things that a buyer may not. I would without question buy or sell with Guy anytime again. Thanks Guy ! " "We had been in the same place for 22 years since our last home purchase. We really had no idea of the process of buying & selling a property and Guy was a huge help in guiding us from start to finish with his professionalism. We had a million questions and each time we talked and Guy was always patient and very helpful with this process. He knew what we were interested in and he immediately started sending us pictures of potential homes in a few of our preferred areas. Before we knew it we found the place we wanted! Guy was a tremendous help in both buying a property & selling our property, in both cases he knew what the properties were worth and he negotiated very good prices on both ends and we are very happy with how he treated us thru this entire process. We highly recommend Guy Cooley to be your professional Realtor, you won’t be disappointed. Kelly & Gun-Britt Gattinger – Calgary Alberta"
"We would like to thank you for all your hard work and dedication in helping us buy our new home as well as sell our old home in record time. When we bought our first home in 2009, we had no prior experience in real estate. Luckily for us, you were there to help us navigate through it all. Working with you on numerous occasions provided a level of comfort and ease to our real estate journey. You provided integrity, knowledge and patience to the process. We never felt rushed in making any decisions and found your advice invaluable. You are always well prepared for the showings with all the details for the house as well as comparative analysis of the area. On numerous occasions, you managed to spot some defects that would have cost us dearly. Your many tips and advices had been invaluable when we were ready to put our first home on the market. Thank you so much for making this otherwise stressful processes a breeze for us. 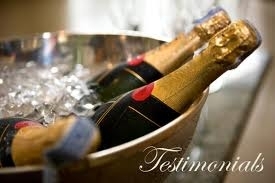 We have and will continue to recommend him to everyone!" "We didn't realize how demanding is the work and life of a real estate agent, at least for the dedicated ones, until we met and hired Guy Cooley. This man does not understand the words "slow down, take a break, quit or stop" when it comes to serving the need of his clients. He is passionate about his work, totally caring of his clients and a truly committed professional. Fred and Bonnie Deis"
"Guy, is extremely patient and makes sure he is aware of your needs and preferences. He will spend as much time as required to find you the home that is right. I have no hesitation in recommending Guy Cooley!" "Guy is extremely hard working, knowledgable and professional and I would not hesitate to refer him to anyone requiring the services of a Calgary and area Realtor. " "Excellent Realtor. Couldn't have asked for better service. Very knowledgeable and quick to respond to any questions. An all around wonderful person. Glad we choose you to work with Guy. " "“From day one, Guy has displayed the utmost of professionalism, excellent communication skills, and genuine helpfulness and caring attitude. He made our potentially difficult transition to a new city much more pleasant while going the extra mile to help things run smoothly. As an example, as out of town homebuyers, Guy was able to organize 16 carefully selected house showings in one day upon our request, despite terrible weather, which resulted in a very efficient and effective home purchase. He then continued to be available at all hours of the day for questions and concerns while we closed the sale from another province. From start to finish we have been very impressed by his overall skill, knowledge, and service. His sincere attitude and actions makes us think of him less like our realtor and more of a friend. I would like to fully recommend Guy Cooley for anyone who is looking to buy/sell their home as they will not be disappointed.” "
"Guy Cooley helped my husband and I with the purchase of our home. From our very first meeting, we were so impressed by his sincerity that we trusted him completely. We instantly felt as though Guy was a friend who truly had our best interests at heart. Not only that, but every other company or individual Guy recommended to us was equally genuine. We would not hesitate to recommend Guy to anyone looking for a real estate agent. Dependable, friendly and personal, we will use Guy's services again." "Guy, we would like to say thank you for everything you did for us in selling our house. You really went above and beyond what was expected. We sincerely appreciated that you were willing to help us with WHATEVER we needed, no matter what and when it was. The fact that you took the time to actually listen to our thoughts and concerns throughout the whole process, even once the sold sign was on our house, was awesome! From past experience this does not always happen! We also appreciated how the lines of communication were always open. We never felt like we were left in the dark in regards to what was going on with not only our house but in the area. Thanks again for everything you did for us. You definitely made leaving the home we brought our boys home to a lot easier than I anticipated! You can bet we will certainly recommend you to anyone in Langdon or Calgary! Thanks again! Amanda & Morgan Gutek "
"Dear Guy, I just wanted to drop you a note to say how thrilled we are with your Realtor services and the speedy sale of our home. 10 days! We couldn’t be more impressed with your service. You were always so easy to reach, and we really appreciate that you even took time away from your trip to call us and keep us informed after the sale had finalized. The time that you spent staging and photographing our home and the resulting pictures for MLS were, in my opinion, a large factor in the sale of our home. With so many buyers today utilizing MLS to search the many listings on the market, I believe the photographs that are shown are a huge part of people wanting to see your home. Our photos were top of the line—and so were you. We will highly recommend you to all of our friends and family in the future. Thank you again. Shawna and Nathan Blunt"
"We were very impressed with how Guy handled the sale of our home. Guy was very efficient, competent and professional in all aspects of the process and we felt he always had our best interest in mind. He was effective and efficient in his communication with both ourselves and potential buyers and their agents. Our listing was very well marketed and we had a lot of interest in our home. We had a great experience and we would highly recommend Guy Cooley with Keller Williams Realty South! Thanks again Guy! Rob and Mandy Jamieson "